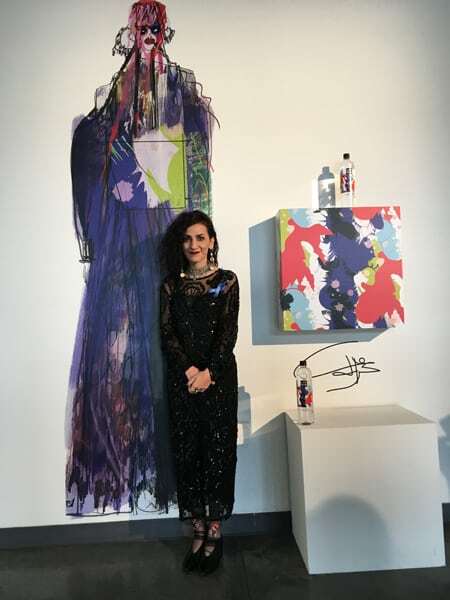 The Council of Fashion Designers of America (CFDA) and LIFEWTR, a brand known for its purified water, have selected School of Fashion graduate Ghazaleh Khalifeh (BFA 2010 and MFA 2015) for LIFEWTR’s latest series of artist-based collaborations. 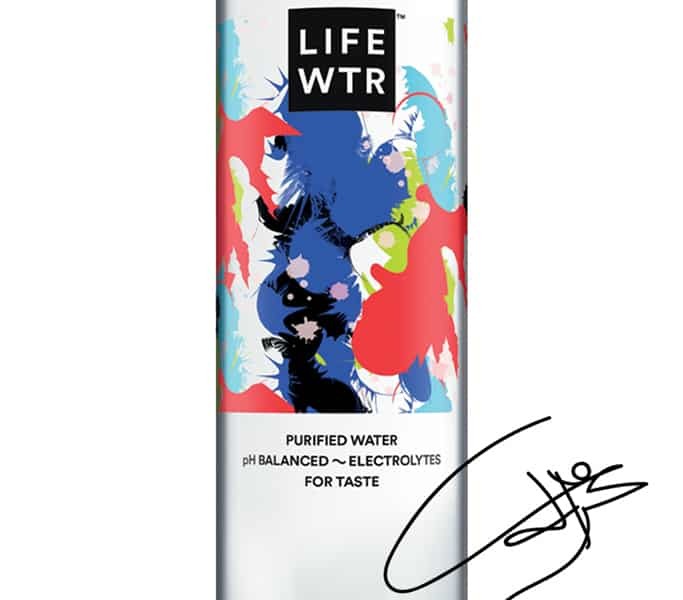 As a Series 3 LIFEWTR designer, Khalifeh created a limited-edition signature graphic for the brand, one of three artists’ graphics to be featured on 40 million LIFEWTR bottles distributed around the world, sure to be a highligh of their fashion careers. Featured in a LIFEWTR video, Khalifeh is a self-designated “fashion forager” who takes her audience through a journey of inspirations. “I’m reminded of all of the countless days and nights I spent in the sewing and textile labs at Academy of Art University, dreaming of moments just like this,” she recalls. CFDA Director of Education and Professional Development Sara Kozlowski says, “LIFEWTR’s commitment to support early emerging talent and empower creativity is core to their mission, as well as to the CFDA’s. As part of the CFDA LIFEWTR spotlight, Khalifeh will receive mentoring and networking opportunities in the months ahead, as well as media support through a partnership between Condé Nast, CFDA and LIFEWTR. In fact, those opportunities were manifest on the first day of New York Fashion Week (NYFW, September 7, 2017, when Khalifeh presented her spring/summer 2018 collection during the public launch of CFDA LIFEWTR Series 3. Her collection incorporated the inspirations for her Series 3 signature graphic and the graphic itself. Khalifeh’s NYFW collection consisted of 12 garments, many of which are hybrids that dismiss common standards of garment type. Their nomadic and migratory inspirations, and celebratory surface layerings stem from her empowered vision to replace divisive borders with a multiethnic, united patchwork presence of peaceful and sustainable coexistence amongst individuals and environments. The collection’s design is consistent with her practice, which focuses on reviving artisanal traditions and collaborations while staying true to the bespoke manufacturing process. She currently works and resides north of San Francisco along the rugged coastline of the Pacific Ocean. Ghazaleh Khalifeh, a School of Fashion graduate, has been recognized globally for her textile and fashion designs. During Khalifeh’s undergraduate program, she was a French Exchange Scholarship recipient and spent one year studying at L’Ecole de la Chambre Syndicale de la Couture Parisienne in Paris. There, out of 60 students in her class, Khalifeh was honored with the highest score for her final collection created during the exchange, presented before a panel of the school, professors and industry professionals. The collection was then displayed at La Cour de Marais gallery. Additionally Khalifeh’s illustrated homage to the life and legacy of Yves Saint Laurent was among several selected for display at City Hall in Paris. Academy Vice President of Artistic Development Gladys Perint Palmer, also a renowned fashion illustrator and journalist, has known Khalifeh since she started at the Academy and saw her in Paris on several occasions. 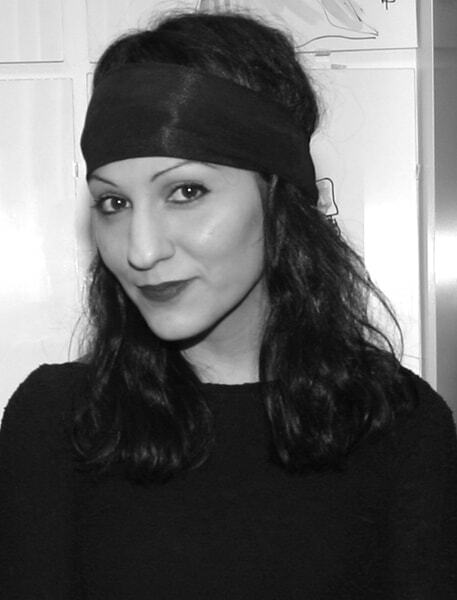 Khalifeh’s professional experience began with a design internship at Diane von Fürstenberg. In 2012 Khalifeh returned to the School of Fashion to pursue her MFA in textile design. She later teamed with MFA Fashion student Emmanuelle Ciara Jones to present a collaborative fall 2015 collection at NYFW. Khalifeh was selected to showcase her work at BASE, Milan’s ‘Design Week 2016” in Italy for the annual ARTSTHREAD and DESIGNERSBLOCK exhibition.